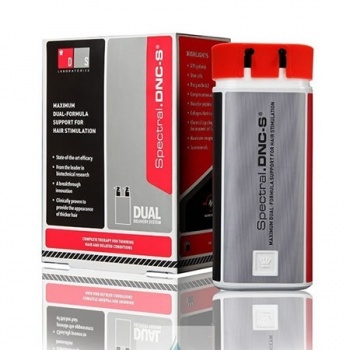 DS Laboratories Spectral.DNC-S is indicated for men and women in advanced stages of hair thinning by delivering numerous natural compounds that perform through complementary pathways to stimulate hair. The advanced dual-chambered system specially formulated to address thinning hair and encourage healthy scalp function for fuller looking hair. By packaging ingredients in two separate chambers, the delicate materials can be deployed in higher concentrations for higher performance.